Jaheim Hoagland is a New Burnswick, New Jersey-born American R&B singer, songwriter as well as a producer better known by his stage name “Jaheim”. Born on 26 May 1978, Jaheim is famous for singing the song “Put That Woman First”. One of the most successful artists in R&B and hip hop genre, Jaheim has been actively entertaining us since 1996. A prominent singer and a songwriter in American hip hop music, how rich is Jaheim at the present? As estimated by the sources, Jaheim counts his net worth at an amount of $4.5 million in early 2016. Needless to say, being involved in the music sector as a singer and succeeding commercially in his profession has been most significant in making Jaheim a multi-millionaire artist. Releasing numerous albums and selling millions of copies in the market has earned quite well for Jaheim over the years. Raised in the Memorial Parkway Homes public housing in New Brunswick, Jaheim was born into a family which was very fond of music. His grandfather, Hoagy Lands was a famous soul singer, and sang for famous groups like “The Drifters”. 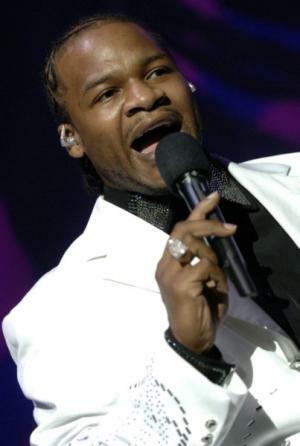 Jaheim used to take part in local talent shows, and won the Apollo Theater’s talent show three times. He started his career in music in his early 20s when he signed a deal with Divine Mill Records, a division of Warner Bros. Records. In 2001, Jaheim released “Ghetto Love” – his first solo album – which sold in millions to earn him platinum certification from RIAA. Jaheim released his second studio album “Still Ghetto”, which was also certified platinum by the RIAA, however, his third album “Ghetto Classics” was the most popular among his album releases as it debuted at number 1 on the US Billboard 200, while also selling over 153,000 copies in the first week of its release. Until today, Jaheim has released a total of six studio albums, including “The Makings Of A Man”, “Another Round” and “Appreciation Day” among others. More recently, he is working on his next album entitled “Struggle Love” which is to be released later in 2016. In addition to this, he has also released a compilation album entitled “Classic Jaheim, Vol. 1”. Obviously, being a part of all these projects has added a lot to Jaheim’s riches over the years. Given his contributions to the music industry of America, Jaheim has been nominated for several prestigious awards, including three times for Grammy Awards in 2011 for his single “Finding My Way Back”. In 2002, his single “Just In Case” was nominated in the Soul Train Music Awards for Best R&B/Soul Single in the Male category. Regarding his personal life, 37 year-old Jaheim apparently leads his life as a bachelor. For now, he is enjoying his career as one of the accomplished singers and songwriters in the hip hop music industry of America. On top of that, his present net worth of $4.5 million caters to his daily life in every possible way. 3 Collaborated with Nelly on the song "My Place". 22nd Annual Trumpet Awards 2014 TV Special performer: "Age Ain't A Factor" / writer: "Age Ain't A Factor"
2011 Grammy Grammy Awards Best R&B Album For the album "Another Round."